The Spanish and Latin American studies collections are located primarily at the Murray Library. Visit the Research Help Desk on the first floor of the Murray Library for help in getting started with your research, or contact us by phone, email, or online chat. For Spanish, Latin American, and other Hispanic studies queries, please contact Donna Canevari de Paredes. 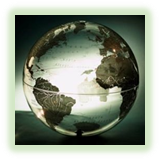 Introducing library research in Spanish and Latin American Studies, this guide is intended for use by undergraduate students, graduate students, faculty, and other researchers at the University of Saskatchewan and beyond. Covering historical, literary, cultural, linguistic, and other sectors of humanities and social sciences resources that intersect with the geographical, cultural, and political spheres of the wide-ranging Hispanic world, the guide provides a gateway to the best University Library and open access sources for research in this interdisciplinary area. Resources held in traditional print, as well as those accessible digitally through licence or open access—including books, articles, images, videos, and archival collections, are featured within. Recursos de ayuda para la investigación en los estudios de España y América Latina: ésta es una guía para los estudiantes de pre-grado, para graduados, profesores, y otros investigadores en la Universidad de Saskatchewan y otras instituciones. La guía incluye fuentes de historia, literatura, cultura en general, lingüística, y otros sectores en las humanidades y ciencias sociales que lindan con esferas del conocimiento geográfico, cultural, y político, de la amplia gama del mundo hispánico. La guía proporciona un acceso abierto a la biblioteca de la universidad y sus fuentes de investigación interdisciplinaria. Incluidas están las fuentes tradicionales impresas, así como las de acceso digital con licencia, o las de acceso abierto--incluyendo libros, artículos, imágenes, videos y colecciones de archivo. This collection of 2185 titles is based in Latin American history, culture, and social sciences publications. Particular emphasis is on modernization and its effects on indigenous peoples and cultures of Latin America, predominantly Ecuador, Peru, Mexico, and the Caribbean. Beate Rosa Salz (1913-2006) was born in Heidelberg, Germany, the oldest of the children of Bohemian born Arthur Salz, and Prussian born, Sophie Kantorowicz Salz. Arthur Salz was a political economist at the University of Heidelberg until 1933 when, as a Jew, he lost his academic appointment. The family moved to England that year through his guest professorship at Cambridge University; Beate Salz studied there while her father was on faculty, and then from 1934 to 1936 at City of London College. After Cambridge, the family immigrated to the United States--to Ohio State University, where Arthur Salz held a tenured professorship until his retirement. Beate Salz joined her family after receiving a certificate from City of London College. Following a BA from Ohio State, she did graduate work at the New School for Social Research and was awarded her PhD in 1950. Her first academic appointments were at the University of North Carolina and the University of Chicago. From 1954, Dr. Salz was a member of the Department of Sociology and Anthropology at the University of Puerto Rico in Río Piedras--the academic appointment that defined her career. Concurrently, she undertook field studies in St. Lucia, Ecuador, and Peru, along with related publishing. Beate Salz retired from the University of Puerto Rico in 1976 as Professor Emerita. With her sister’s family long settled in Saskatoon, Dr. Salz decided to make her retirement home here. Throughout a lifetime of academic endeavors, she had collected materials pertaining to her interests and research, all of which formed her Saskatoon home library. Although the collection’s focus is on the study of Latin America, it is of note that her collecting interests spanned many disciplines including literature, art, Jewish heritage, and the publications of her uncle, historian Ernst Kantorowicz. 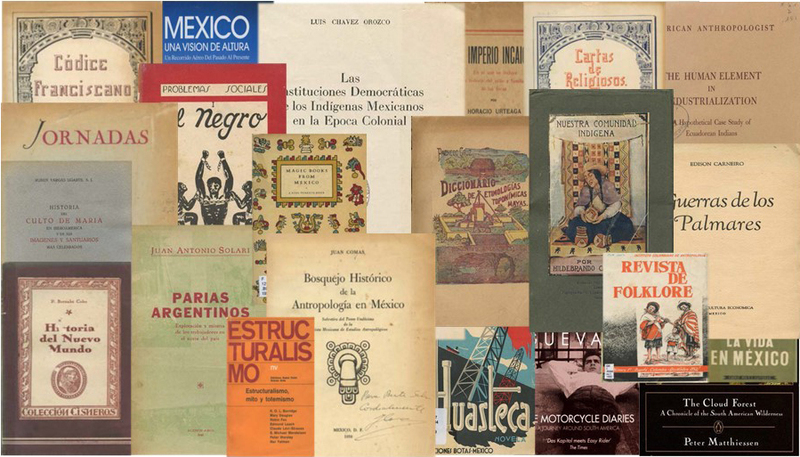 The Salz Latin American Collection, a 2003-2006 donation, represents a major retrospective enhancement to the Latin American social sciences research holdings of the University Library.